The St. Clair County judiciary and staff are dedicated to protecting rights, dispensing equal justice and providing the highest quality of prompt, polite, professional services while respecting the dignity of all. Court offices are open to serve the public daily, from 8:00 a.m. until 4:30 p.m. Courts are closed on weekends and designated court holidays. 31st Circuit Court: Handles criminal felony matters, civil cases with claims over $25,000 and appeals from the 72nd District Court and administrative agencies. The Family Division handles divorces, paternity, child support, juvenile, some guadianship matters and change of name. 72nd District Court: Handles traffic violations, landlord / tenant matters, civil cases under $25,000 (including small claims) and lesser criminal cases as misdemeanors / ordinance violations. 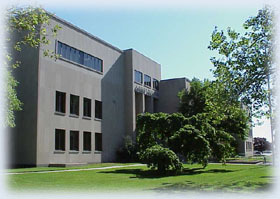 St. Clair County Probate Court: Handles decedent estates and the supervision of trusts, guardianships and conservatorships, and cases involving the mentally ill. St. Clair County Courts operates a problem solving Mental Health Court as a joint venture with St. Clair County Community Mental Health. Persons with severe mental illness or developmental disability who are accused of a criminal offense may be eligible for this program.